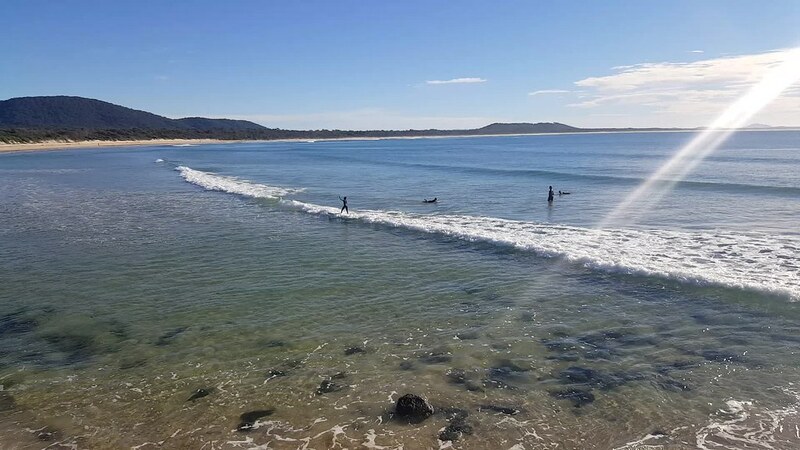 To mark the 10 year anniversary of the death of my Grandfather, the whole extended family decided to get together for a week at Crescent Head, on the NSW north coast. 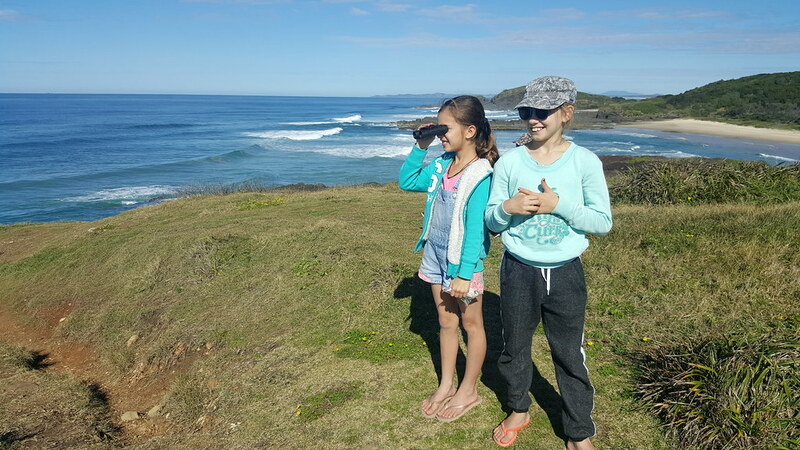 We’ve stayed here with my parents before, and had a great time – any opportunity to visit the Crescent Head bakery is worth the effort. This time, my sister Leanne and family were making the huge trek down from Darwin, to join us. 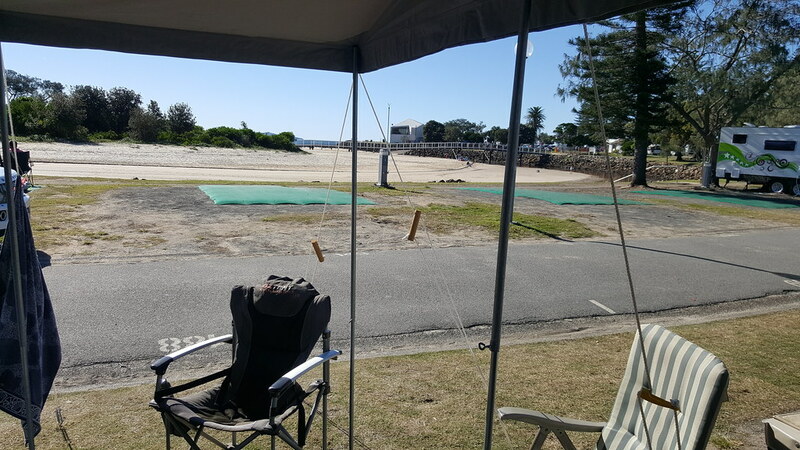 We left Sydney fairly early on Tuesday morning and had some lunch on the way before arriving at the Caravan Park in the early afternoon. Mum and Dad were already there, as were Rona and Ian. We got set up fairly quickly, and not long after, Leanne, Dave, Chelsea, Zac and Noah arrived. They were staying in a cabin also at the park, not far from where the rest of us were set up. Before long we were all relaxing and catching up over a few drinks. Not long before the holidays, Rach had bought Lucas a wetsuit at a garage sale. They got it home and decided that it was going to be too small, and that maybe they would give it to Noah when we saw them. When they told the story to Leanne and Uncle Dave, they were of the opinion that Lucas would actually fit into it. Some technique, squeezing, jumping and garbage bags later, and he was in, and keen to head out surfing with the Pears kids. Over the course of the week, Uncle Dave was very kind and gracious to take the kids out every day. Ella had fun, but it was Lucas who really loved it. Every day he loved going surfing with Zac and Dave. 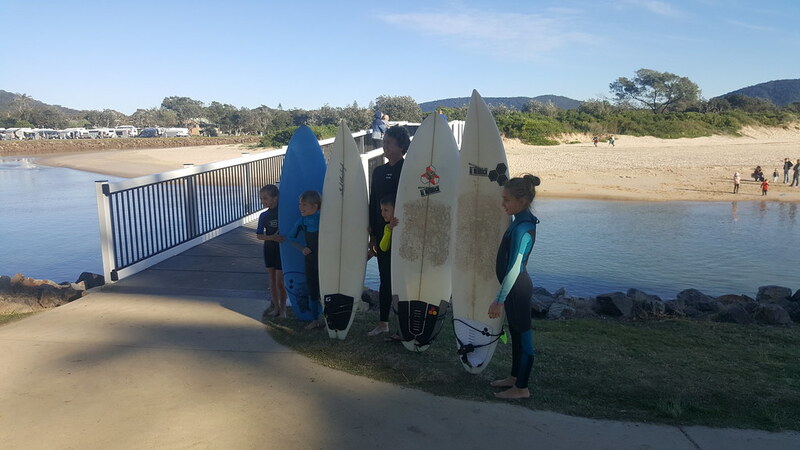 The waves were perfect for him to learn, and even though the water was pretty cold, the wetsuit kept him just warm enough to avoid hypothermia! Thanks, Uncle Dave! One day we had a day trip down to Port Macquarie and Lake Cathie where Mum and Dad have bought a house to move to in the near future. The Pears family and us took the scenic route along the beach and ferry, while the others stuck to the highway. 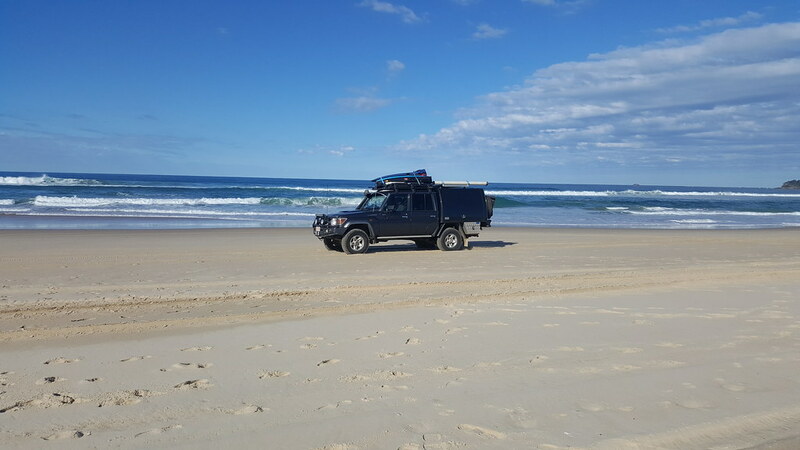 Along the way we stopped at Point Plomer where Dave and Zac had a surf. Rach, Chelsea, Ella and I went for a walk up to the point and were very fortunate to see a pod of about 50 + dolphins playing in the waves off the point. 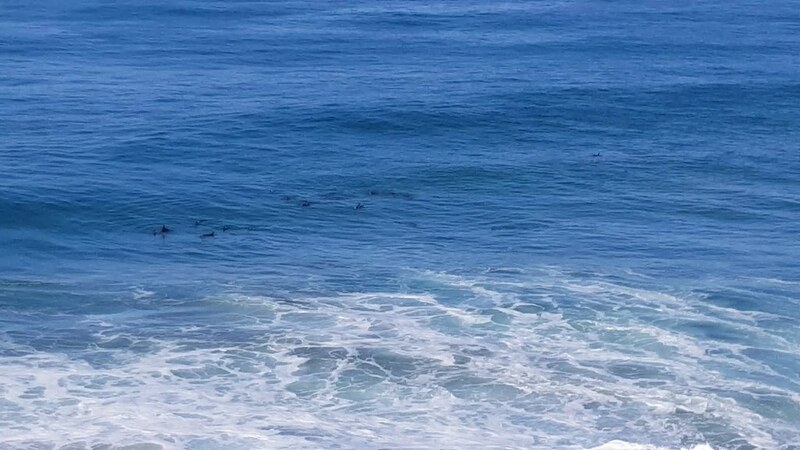 They then went into the bay and swam around the surfers – very special indeed. We also took the opportunity to grab a new starting battery for my car while we were in town, as it was had pretty much completely died. Saturday night we all came together to have dinner at the Chinese Restaurant under the club, as an opportunity to remember Grand-Pa. It was great to have so many family members in one place for the first time in many years. The kids also had a great time practising their hairdressing skills on their cousin. Dave’s Surf School is in! Before we knew it, a week had flown by. It was great to see how well Lucas, Ella, Zac, Chelsea and Noah played together. 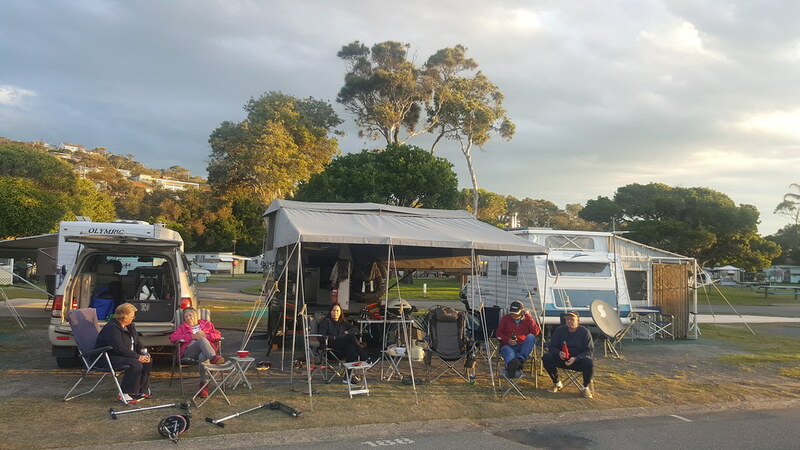 They had an amazing time on their scooters around the caravan park, making up dances, and just being together. Pies consumed: 14 plus a family pie! ← It’s a G.. Jayco!